Lava Lama Arena is an adorable Fighting Game about two brave lamas. 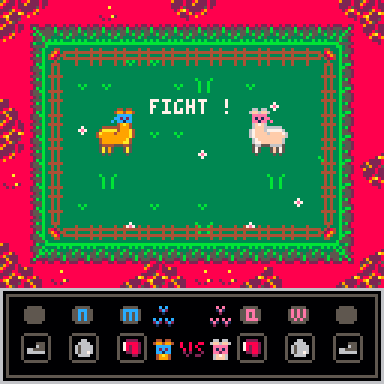 It's a local multiplayer game for playing with friends. 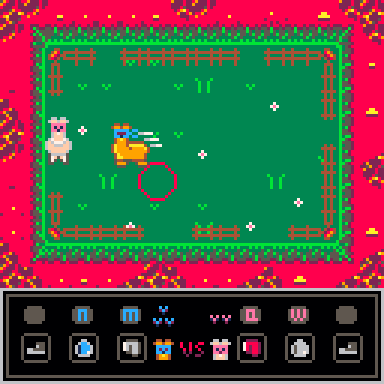 If you have any kind of decisions, you can toss a coin or play rock, stone, scissor OR you can play Lava Lama Arena. Have fun! Dash the opponent into the hot lava and survive for the victory. 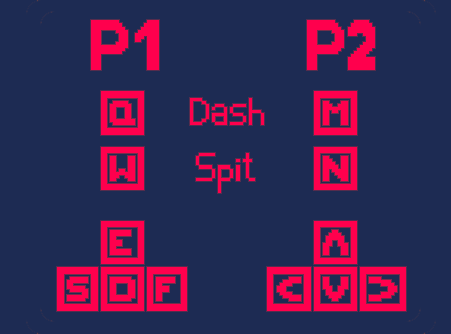 You can Dash, Spit (for stunning the Opponent) and take some Shoes on to be faster. If you don't like to kill lamas, there is a Secret Love Mode included. Find out! Don't be a Drama Lama... Take the revenge! Wow, this game looks great! The controls are fantastic and feel responsive, art is nice, and sound effects work well with the game. However, I have no friends so... could you please release another version of the game with an CPU player? I would really appreciate it. Hey, I'm the programmer of Lava Lama Arena. Thank you very much! Oh and Happy holidays btw. Thanks for your reply! Can't wait to try out the game with a CPU. Happy holidays to you too!